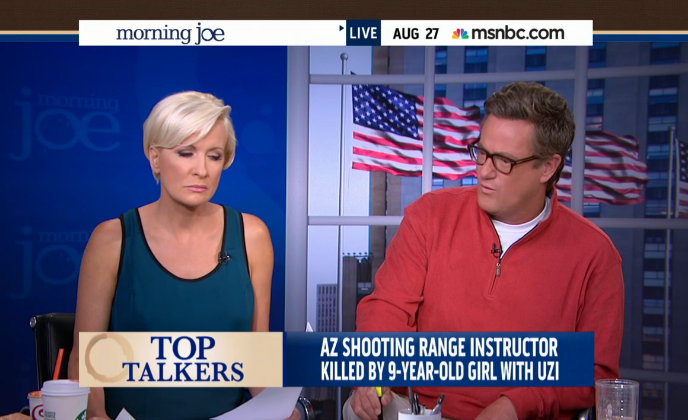 Yesterday at an Arizona shooting range, a 9-year-old lost control of an Uzi, subsequently killing a 39-year-old instructor, Charles Vacca. 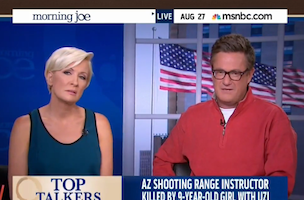 Today on MSNBC’s “Morning Joe,” co-host Joe Scarborough went off on how this even happened. The Bureau of Alcohol, Tobacco, and Firearms is investigating and Scarborough encouraged it to prevent future instances of this happening again.